As I have stressed many times in recent books, there are two mindsets that dominate the thinking of modern man, Christians included. These are the Greek mindset, perhaps best expressed in the phrase, “Know thyself!” and the Hebraic mindset, which focuses on knowing God. Now here’s the problem in a nutshell. The Bible was written using the Hebraic mindset, but, these days tends to be understood using the Greek mindset. This means that we tend to see the Bible predominantly as a source for our thoughts and actions. There is nothing wrong with that, but what is often neglected is God Himself. There’s no better way of getting to know the One we are going to spend eternity with, than by reading His Book. There’s so much we can learn about Him from the Hebrew Scriptures, from the developing story of His dealings with His people. I would go as far as to say that these Scriptures, the Old Testament, are there to provide us with a blueprint, a design plan, of God’s heart. God’s blueprint. Have you ever wondered how the Old Testament came to be written, why God chose Hebrew as the language of the Book and what exactly could we be missing through not reading the Hebrew Scriptures in their original language? The answers to these questions will amaze you – guaranteed! This book traces the history of God’s Word to mankind, from Moses, to Ezra and beyond. The Hebrew language is introduced to you painlessly as you begin to understand why God chose it for His communication to us. , Then, armed with new knowledge, you will be taken through an amazing set of Hebraic Bible studies, revealing more about ourselves, our Messiah and much, much more. This is the book I’ve always wanted to read, let alone write! Ever since I became a Christian in August 1987 and joined the narrow path that lay beyond the old rugged cross, it’s what lay beyond those simple certainties that soon troubled me. The path widened alarmingly and I discovered that behind the facade of smiling, earnest faces, there was a World of disunity, confusion, strife and factionalism. Becoming a believer in the risen Christ pulls you into a multi-faceted community, but it’s not a comfortable one. You are told that you have joined a worldwide family of believers in the Way, the Truth and the Life, but you are not told of the many different ways and truths and lives! It should have been so simple. There was the Bible, God’s authoritative and complete word for mankind. His gift to us. One volume of sixty six books in all, from “In the beginning” to “amen”. One basic message. Choose Life, He said. So what did we do? We chose … denominations, 38,000 of them. One book, thousands of interpretations. Snake handlers in Kansas, Prosperity teachers in Washington, Liberationists in El Salvador, Gay Bishops in New Hampshire, New Age rectors in London. They all claim the Bible as their inspiration and rulebook. Once this book is opened, why is it that folk seem to see different things? One book, one message, one Babel. How come? Where can the Truth be found or has the Church lost The Truth? This explosive book tells the whole sad story of what actually happened to the Church over the last two thousand years and how it managed to lose its focus and take on so many ideas from Greek philosophy that Christianity has just become a melting point of truth mixed up with very strange ideas. If Jesus were to return today, which Church – if any – could He call his own? 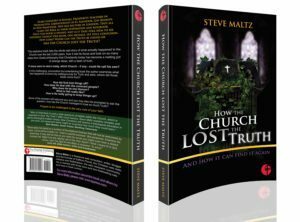 Tackling the ‘uncomfortable truth’ for the Church, this book packs a heavyweight punch in a lightweight package. With great clarity and style the author explains how the Church has been strangled by its past and how the faith in Jesus Christ was infiltrated by pagan ideas from Greek philosophy that have remained to this day. This book exposes and explains how this affects our understanding of the Bible, God, Church and everything in-between. In this provocative, entertaining and encouraging book, we will explore our true roots and discover practical keys to move forwards. Are you prepared for a new book about Jesus that does offer fresh insights without boasting new revelations? Drawing on sources from the Jewish world, ancient and modern, the author will take you on an exhilarating, lively and entertaining exploration of the life and times of the Jewish Messiah. This book has already changed the lives of Christians of all backgrounds and denominations by providing a surprising, refreshing and fresh view of Jesus the Messiah. In this journey you will meet the Memra, the Angel of the LORD, Yeshua ben Yosef, the Christ, Bar Anash, Yeshu HaNotzri, Mashiach ben David. What do they all have in common – they are all names of Jesus, used by different people at different times – even by Jesus himself. Towards a Christian understanding of the Middle East conflict Much heat has been generated by the subject of Israel and Palestine. It’s a subject that will not go away and it is crucial that Christians should have a clear grasp of both the spiritual and historical issues involved. This is a lively, entertaining and provocative introduction to the subject for ordinary Christians. The author takes you on a historical journey of the Land of Many Names, from the Canaan of Abraham to the Promised Land, by way of the Land of Milk and Honey, Israel and Judah, Judea and Samaria, Palestine, The Holy Land, Zion, Israel and ‘The Zionist Entity’. At each stage we pause to consider what God is saying to all concerned and, in some places, awkward questions are also asked of the reader. The Jews are a mystery to most, provoking a whole range of questions. How have they survived for so long? Why have they been so feared or hated by so many people for so many reasons? What is their relevance to Christians? This book attempts to give clear answers to these questions and helps the reader to understand the spiritual significance for both Christians and Jews. This is a lively, entertaining and provocative introduction to the People of Many Names, from early beginnings in the Old Testament as the Children of Promise and a Kingdom of Priests , then as the people of Galut (Exile), where they were denigrated as Christ killers , Dhimmis and Conspirators of Zion . We view their accomplishments, despite the hostility that surrounded them, including the horrors of the Holocaust, and conclude our story in the New Testament, as the natural branches of God s olive tree. The People of Many Names pulls no punches in providing an insight into God’s plan for the Jew, Christian anti-semitism and includes practical suggestions for reconciliation within the Body of Messiah. We love intrigues and mysteries, don’t we? Conspiracies are big news. The media industry loves them because we love them, but how much truth do they represent? Don’t you want to know what really is going on, who really is pulling the strings in our World today? Wouldn’t it be a refreshing change to be presented with the real truth? Is history just a random sequence of events, or are there secret manipulations? What makes us tick? How did the World as we see it come to be? In this short book we will be delving below the surface of our existence on this planet, glimpsing at the possibilities beyond the daily routines of just getting on with life. The conspiracy we uncover has tentacles in all spheres of human life, so where it leads we will follow. We will be taken into areas of science, history, human behavior, popular culture, religion and little green men. Read this book if you are prepared to be challenged. 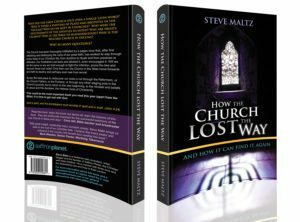 Steve Maltz has been described as the Bill Bryson of theology and Christian history. An author from the UK, with 6 books published; all with high critical praise. His books are written from a conservative theological position, with a lightness of touch that makes sometimes difficult topics accessible and enjoyable to a wide audience. 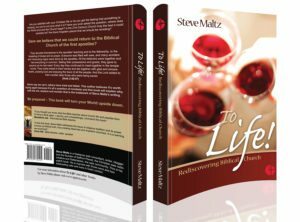 Steve is a Jewish believer in Jesus and well known in UK Messianic circles because of the success of his trilogy, The Land of Many Names, The People of Many Names and Jesus, Man of Many Names, which seek to explain Israel, the Jews and Jesus from a Jewish perspective. He has worked as a tour guide, systems analyst, project manager, software, website and computer games designer. He is a veteran of the computer games industry. One game, Pettigrew’s Diary, reached number 1 in the UK software charts and acclaimed by one magazine as the adventure game of the year . Steve co-founded Saltshakers, one of the world s most popular messianic websites. Steve is also the founder of the award winning audio website. Steve Maltz is married, with three sons, two freeloading cats and lives in East London.